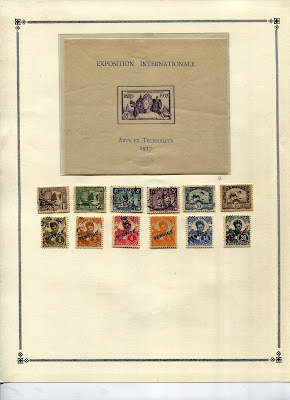 Early French and British colonial stamps look much like those of the colonizing countries; in Indochina’s case, the conventional “Navigation and Commerce” allegory plus a female personification of France (maybe Marianne without her odd hat? 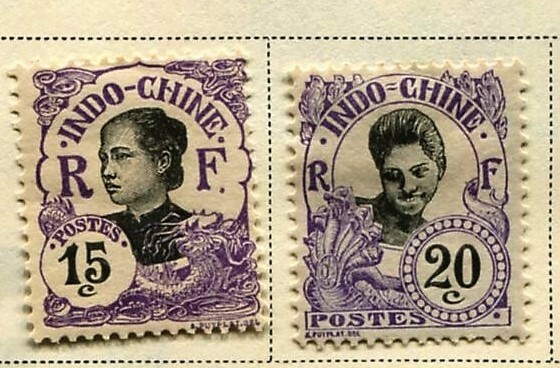 ), both inscribed INDO-CHINE. 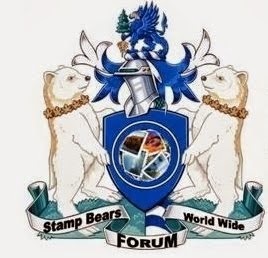 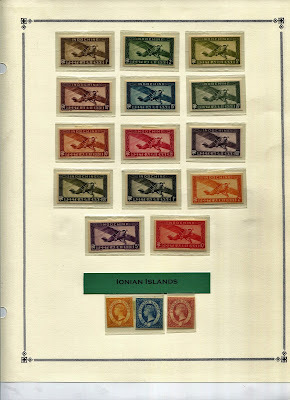 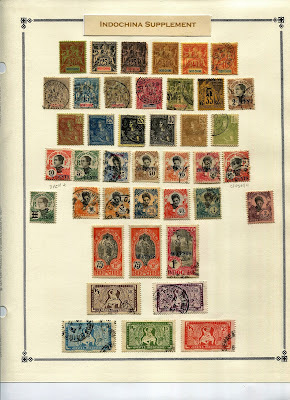 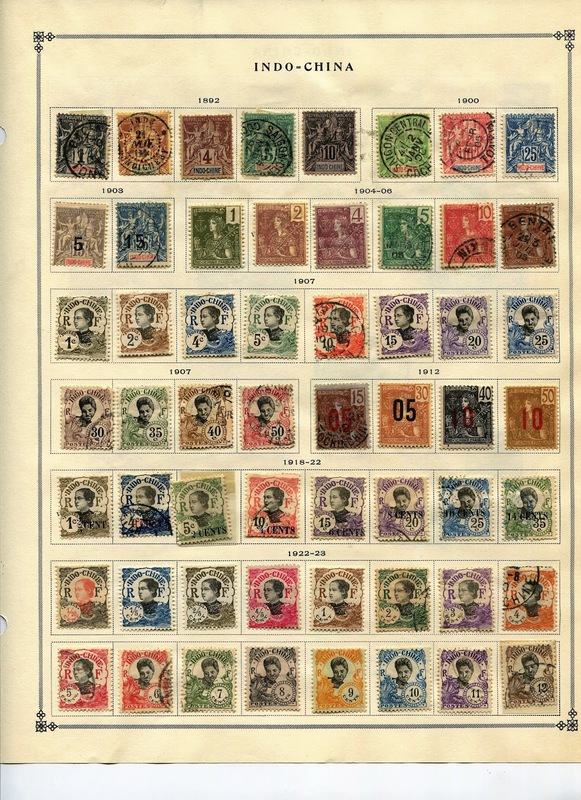 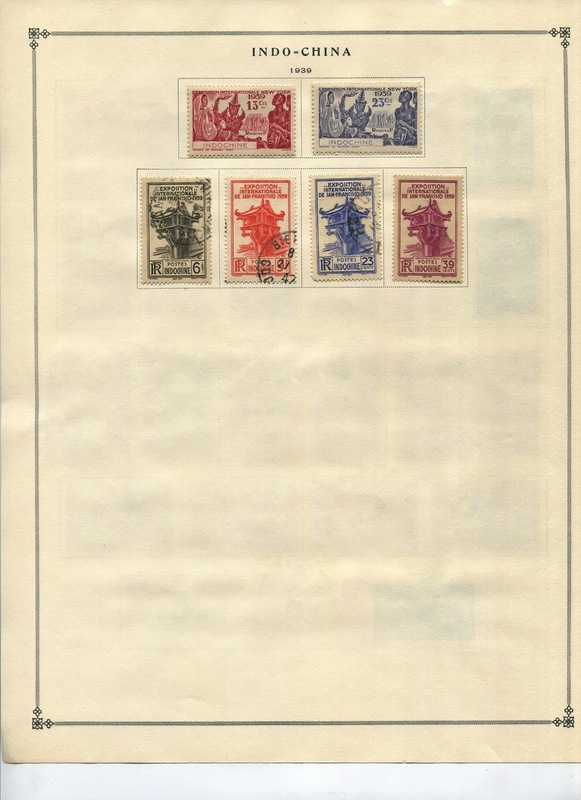 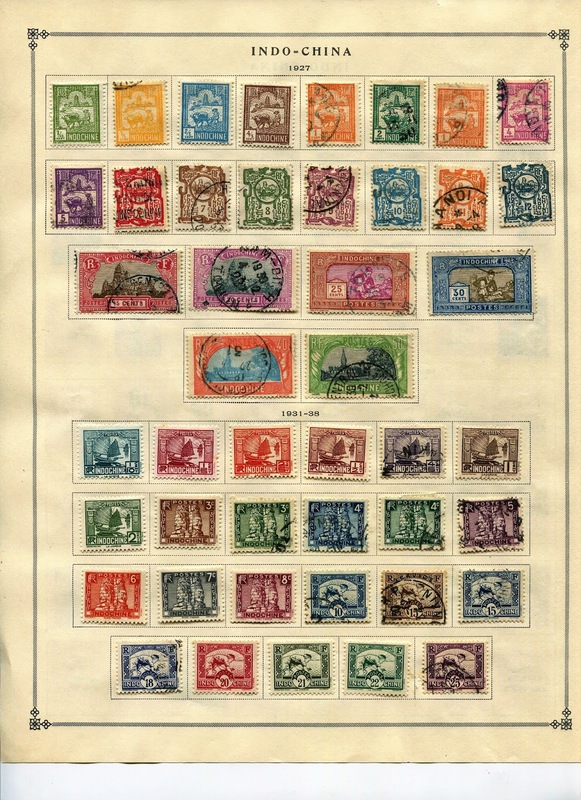 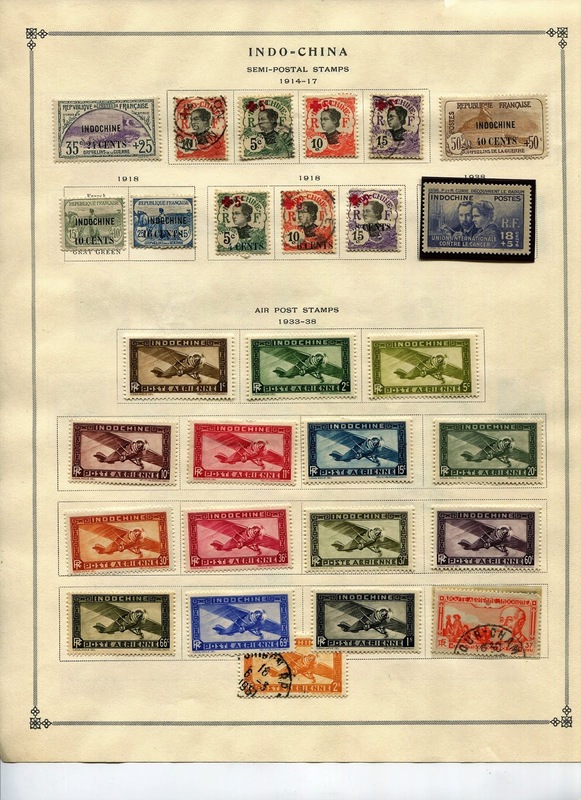 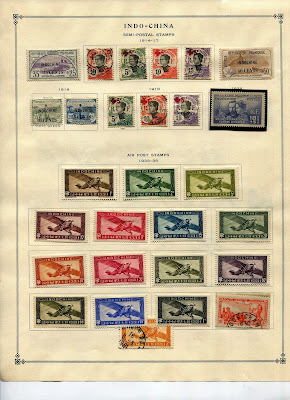 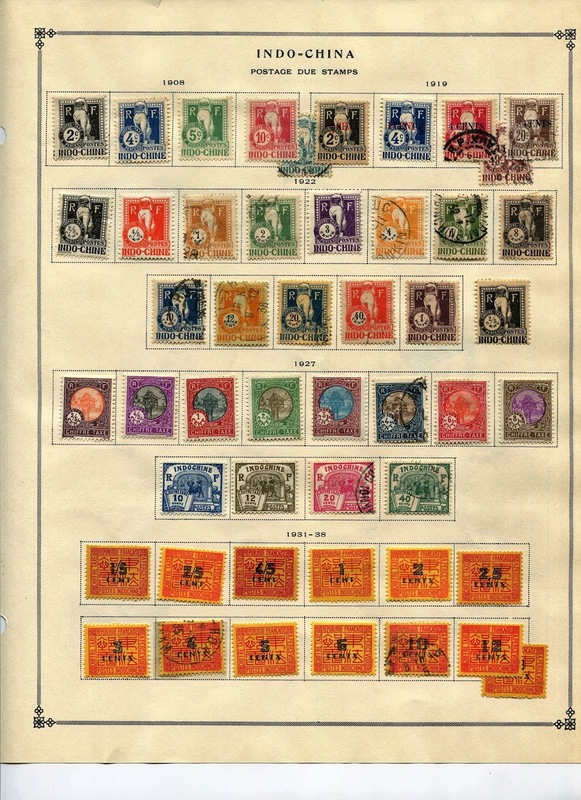 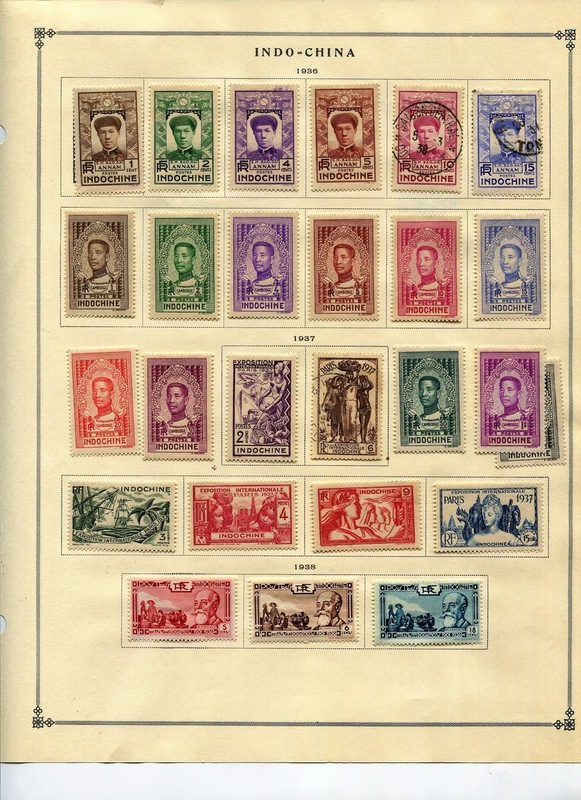 In the later classical era, however, colonial stamps branch out. 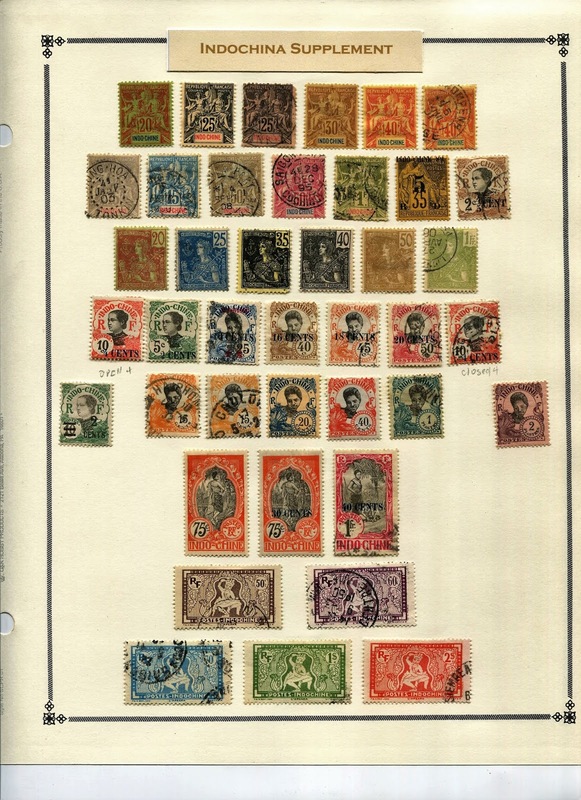 The British put forward the obligatory crowned heads gazing at local scenery, mostly. The French, having ousted crowed heads, used “RF” initials and preferred images of local people, often anonymous beautiful women in native garb, such as Annamite and Cambodian girls (above). Because France’s China offices also used these stamps, with overprints, WW collectors easily recognize these two unknowns. 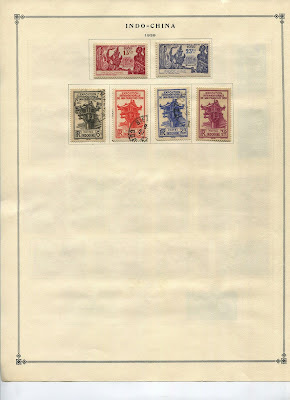 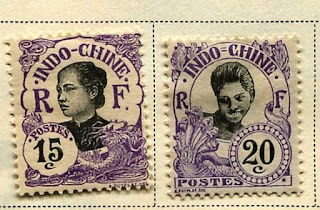 Indochinese stamps also feature local political leaders and scenery, of course, but less often. Census: 198 in BB space, eight tip-ins, 65 on supplement pages. 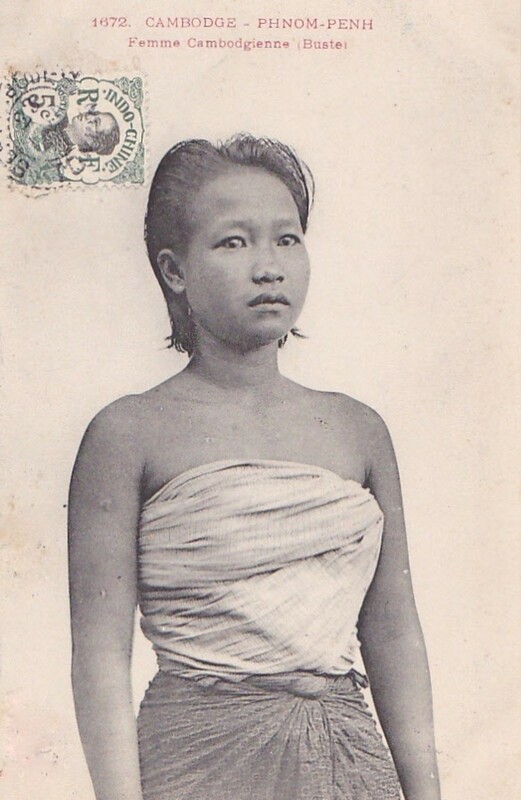 Indochine française, or French Indochina, was a French colonial protectorate in southeast Asia. 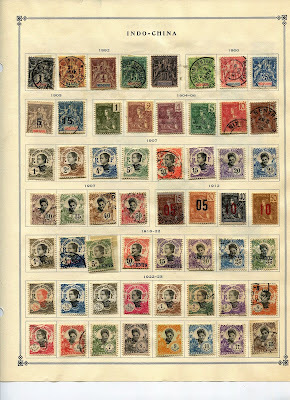 It consisted in 1887 of the the Vietnamese areas of Tonkin, Annam, and Cochinchina, and also Cambodia. 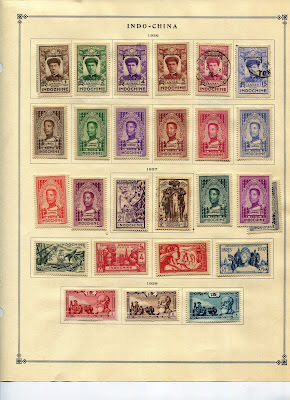 Laos was added in 1893. 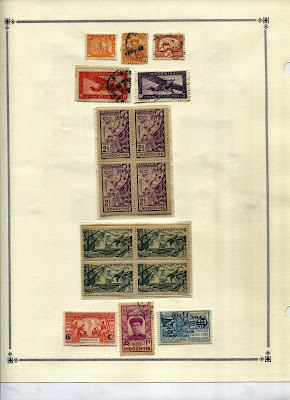 Saigon was the first Capital (1887-1902), then Hanoi (1902-1939), and finally Da Lat (1939-45) during the classical era. Of interest, During WW II, Vichy France administered the colony, while the Japanese occupied the area.